Geek of All Trades » Man of Iron or Man of Steel? The most obvious detail can be picked up right from the cover. The movie was done in manga style. I love anime as much as everyone else, but Marvel’s foray into the Japanese style animation just isn’t working. (The anime X-Men episodes are better but still not great.) Another thing that hits this home even more is the fact that the default language on the DVD is Japanese. I would have preferred a normal style of animation. You see it all the way through, especially in the villain. The technovore comes out in the form of Ezekiel Stane, son of Tony’s business nemesis, Obadiah Stane. He is enveloped in a free flowing technological outfit that can reshape in whatever way he feels. The way it flows off his head to unmask is like anything you’d see in an anime movie. Then add in the floating techno-balls that he uses and all you’re missing is a tentacle monster. The mix of characters is a bit unusual as well. War Machine/James Rhodes makes total sense in the story. Hawkeye and Black Widow even fit in an extended way since they are members of the Avengers tho not ones that Tony would normally team up with. The addition of the Punisher in movie come out of left field though. Writing part of the story around him makes no sense. He’s not even that popular of a character any more. All he does is work as a decoy to hold off Clint and Natasha for a while. Overall, the movie isn’t all that memorable really. I started watching it once and couldn’t keep interest long enough to finish it so I had to re-watch it again later. (And, yes, I had to go back and switch the language to English the second time around too.) Unless you’re really into anime, I wouldn’t bother with this one. 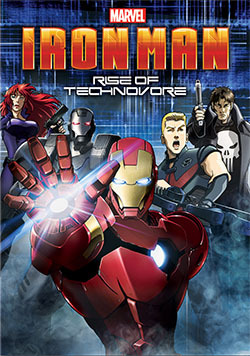 There are plenty of good animated Marvel movies out there but this isn’t one of them. 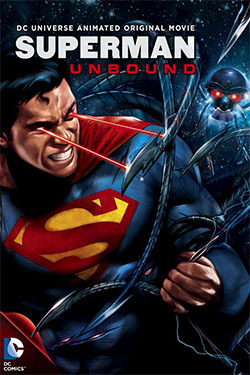 It was a good movie with some good action, some Kryptonian history, and interesting looks at Supergirl who is new to Metropolis and also staying with the Kents in Smallville. It’s definitely a good watch and worth checking out.